The Region 21 Bulletin will be published again in 2017 with two issues, the first in March and the second in October. Acting editors Pam and Wayne Messer will be following the format used by Gary White as editor. We will be contacting the Affiliates’ Presidents for officers, calendars, and events, members for articles, and will include a message from the RVP. Please let us know what you would like to see in the Bulletin. Email wrmesser@gmail.com or comment below. 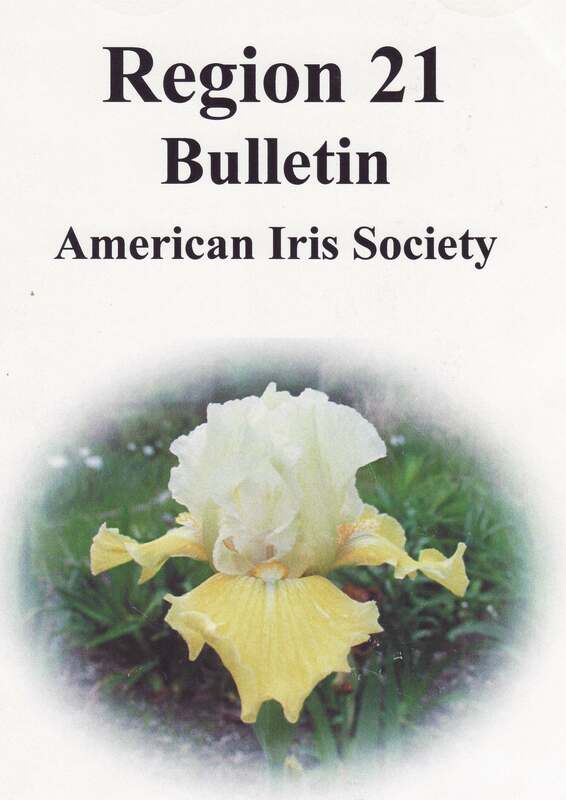 The AIS blog, World of Irises, reports that the April/May 2013 edition of IRISES is in the mail to AIS members and online for e-members. The partial table of contents includes an article by our own Kelly Norris on Tending Tiny Irises.